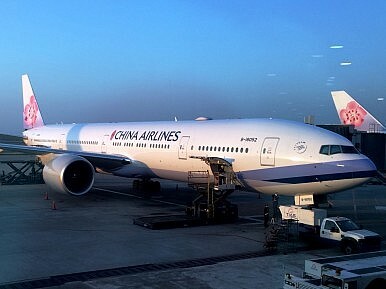 China Airlines’ recent strike in Taiwan stirred up an ugly trend of sexual harassment. It’s possible that Taiwan’s first cabin crew strike in history also went down as the most efficient one, as China Airlines was forced to negotiate with the cabin crew union one day into the strike, later agreeing to all seven demands proposed by the crew. Yet amidst the cries for fair pay and reasonable working hours, the people of Taiwan have been showing more than their supportive side – a distinctively perverse side has also surfaced in the hubbub. Hours before the strike began last Thursday night, posts about the “prettiest strike ever” began flooding local social media circles and PTT, Taiwan’s bulletin board system (BBS) that many use as a way to spread word and share information. The remarks were extremely sexist and undisguised, but still shared many times over. Chou recounted what she witnessed at the scene of the strike, where some men shouted into the quiet night, “Let’s take photos of the flight attendants!” and proceeded to snap a series of photos while several crew members were seen dodging the cameras. This kind of behavior is often directed at Asian flight attendants, and overlooked in Taiwan due to the airline companies’ training principles. In Asia, especially in East Asian countries, cabin crew enjoy high social status and the position is a coveted one for many women because of the high pay and the opportunity to travel the world. There is usually an age limit when it comes to hiring new crew, and thousands of young women prepare for months, even going to special cram schools, just to secure a spot to serve in the air. They are chosen for their education, language abilities, good communication skills, and their looks. The airline industry in Asia, or at least Taiwan, is largely a sexist and shallow factory that churns out Barbie dolls in uniform that serve passengers with a meek politeness that further encourages disrespect and sexual objectification from men, and a warped sense of how the industry operates. This twisted mentality is further reflected in the designer of China Airlines’ uniforms, Chang Shuping. Chang said infamously that, “When the flight attendants’ uniforms cannot inspire people to fantasize about them, it would be the designer’s fault.” Instead of instilling in the cabin crew a way to protect themselves, the airline company has hired someone who openly objectifies the people who his uniforms were meant for. Several sexual harassment laws have been passed over the last decade in Taiwan, regulating appropriate and inappropriate interaction in schools, work environments, and at home. But these laws lend no protection for the cabin crew, many of whom put up with casual pats on the bottom, drunken leering, and other forms of sexual misconduct – people seem to think these women were hired just to satisfy their needs to be served and their fantasies fulfilled. With the social perception that cabin crew are pretty creatures, living an entitled life, people have been late to realize that their jeering and crude jokes were obnoxious and that even without interacting directly with these women, the posts online were a blatant form of sexual harassment. Forget Beijing: Taiwan is rolling out its “warm power” to win friends across Southeast and South Asia.